If you have missing teeth, a set of custom dentures (“false teeth”) may be right for you. Washington Smiles can help you determine whether or not dentures will solve your dental problems. To learn more about custom dentures, please keep reading.
? What are custom dentures? Custom dentures are removable replacement teeth. They can be either a full set of dentures or a partial set of dentures (commonly called “partials”). We offer InPlace™ overdentures at Washington Smiles. So if you don’t have any healthy teeth, a complete denture may be the solution, but if you need to only replace a few missing teeth, a partial denture may be right for you.
? Why would I need dentures? Dentures are made from acrylic resin material so they are strong and durable in nature. If you are missing teeth, your face may sag or develop a sunken look. This can make you look older than you really are. Replacing missing teeth can help you chew better. Getting dentures can help you speak better. Dentures can help strengthen your facial muscles. Complete dentures: Complete dentures are also known as full dentures because they replace all of the teeth in your mouth. They can also be used when a person’s only remaining teeth are unhealthy and must be removed. Partial dentures: Partials are used when some teeth need to be replaced. The healthy teeth act as strong anchors in which the partial denture firmly connects to with metal attachments. Upper dentures: Upper dentures are replacement teeth for the upper teeth. 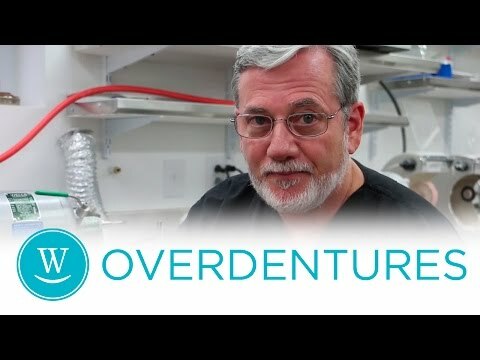 Overdentures: Overdentures are considered conventional dentures and are used with one or more of your natural teeth as anchors to provide support for the appliance. The overdenture is designed to fit right over the remaining teeth. This type of denture requires more preparation, which also means they can be more expensive than conventional dentures. However, they provide excellent stabilization that makes it easy and more comfortable to eat, et cetera. Conventional dentures: This type of full denture is made and placed after the remaining teeth have been extracted and after the tissue has had a chance to heal. This may take approximately six weeks to several months. During this time, the patient may wear a “temporary” or an immediate denture. Immediate dentures: This type of denture is placed immediately after the dentist has removed the remaining teeth. They may require more office visits and raise costs for the denture procedure. After they are placed, the immediate dentures can actually help to reduce the initial swelling that occurs after teeth removal. Once healing is finished, the dentures will be relined to ensure proper fit, or they can be completely replaced with a permanent conventional denture. Most of the time we need to remove the existing teeth as the first step. Anesthetics may be used to make you feel comfortable. We will then make a wax bite impression to act as a model for the new denture. If necessary, we will take measurements before all teeth are removed. Once the dentures are ready, several follow up appointments will be needed to fix potential issues like color, shape, and fit.
? What happens after the dentures procedure? We will give you proper cleaning instructions for your new dentures. This is important for a long lifespan for your dentures. After the dentures are placed, it may take some getting used to– the feel, the look, et cetera. In this beginning stage, you may also experience increased saliva and potentially some discomfort. This will go away over time. You may need to get used to eating and speaking with your dentures, as well. If you are interested in custom dentures to complete your smile, call Washington Smiles for your consultation appointment. We can help you determine if dentures are the right choice for your healthy smile.